Over 150 student nurses are set to be interviewed next month in a bid to boost the ranks of two local hospitals. Efforts to improve staffing levels at two of East Yorkshire’s biggest hospitals continue to bear fruit, as Hull University Teaching Hospitals NHS Trust’s ‘Remarkable People, Extraordinary Place’ recruitment campaign continues. 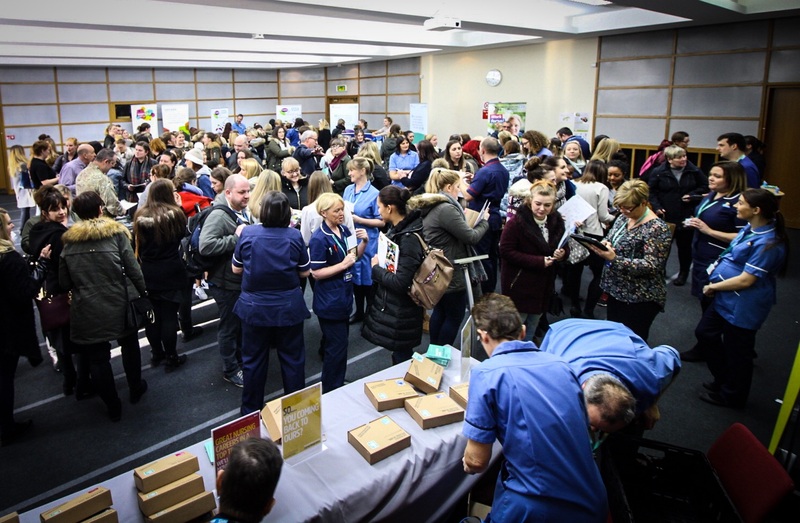 Scores of third year nursing students nearing the end of their degree programmes made a bee-line for the Trust at a recent Hull University recruitment fair, where they spoke to hospital representatives about their areas of clinical interest and plans for their future. As a result, the Trust has secured interviews with 154 final year nursing students out of a total of 183. The students are set to qualify in September, but will be interviewed next month for permanent roles at Hull University Teaching Hospitals NHS Trust, subject to successful completion of their studies. The Trust, which provides hospital care at both Hull Royal Infirmary and Castle Hill Hospital in Cottingham, has been working hard in recent years to revitalise its image and create a better place to work. “We are really excited to be interviewing such a large proportion of this year’s cohort of student nurses. It’s really humbling to see so much talent coming through our local university and even more so that they choose to work for us. “Hull is not alone in experiencing nurse staffing issues; this is something which hospitals and NHS organisations across the country have been facing in recent years. “We knew we had to think and act differently to attract people to the city, and even more so to get the people who have trained in Hull to stay in the area once they qualify. The City of Culture celebrations this year have certainly helped with that by putting Hull on the map and making it an even more attractive proposition.